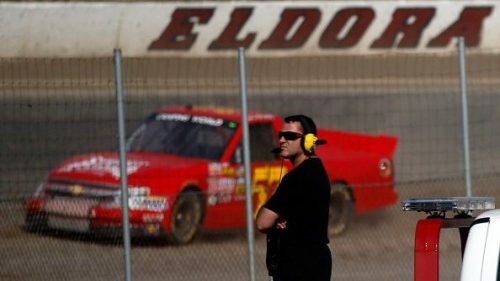 (By Joe Menzer @OneMenz) Aug 29, 2016 at 7:09p ET Eldora Speedway general manager Roger Slack reacted sharply to news that the dirt track owned by NASCAR Sprint Cup Series driver Tony Stewart is being sued for millions of dollars. Bloomquist and the drivers, along with team owners R&W Motorsports LLC, Best Performance Motorsports LLC, JR Motorsports LLC, Gary Satterlee and William G. Satterlee & Sons Inc., sued racetrack owner World Racing Group Inc. and its subsidiary, UMP DIRTcar Racing; as well as Ohio’s Eldora Speedway and its owner, Stewart; in Northern New York’s federal court last week. According to a published report by Courthouse News Service, Bloomquist contends he won the Late Model Dream race at Eldora in June of 2015, only to be informed afterward by track and race officials that his car weighed in 21 pounds under the required minimum weight of 2,300 pounds. The race was put on by the World Racing Group through UMP DIRTcar Racing. Among other things, Bloomquist argued in his 16-page complaint that the scales used to weigh his car were faulty. 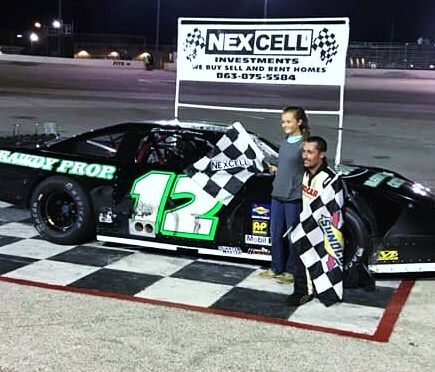 After believing he had won the race and the $100,000 top prize for doing so, the victory was awarded instead to the driver who had finished behind him –and Bloomquist won only $2,000 instead. Bloomquist and the other drivers filed their suit after also being disqualified from this year’s preliminary event at Eldora. According to DIRTcar Racing PR, Bloomquist and the four other competitors were disqualified for using illegal tires in the June 2016 event. Tire samples collected from the cars of Bloomquist, Brandon Sheppard, Gregg Satterlee, Jimmy Owens and Ricky Thornton were “tested by an independent laboratory” and “did not meet established benchmarks in a chemical analysis,” according to the report. The report went on the state that all five drivers were disqualified from the event and were forced to forfeit all purse money from the event, plus fined $1,000 each — resulting in losses of $19,630 for Sheppard, $4,655 for Satterlee, $7,630 for Owens, $10,930 for Thornton and $6,105 for Bloomquist. The plaintiffs are represented by K.J. McGuire Jr. in Troy, New York.